Mobility & More provides sales, installations and service of wheelchair ramps & stairlifts in Lynn Mass. As a wheelchair ramp and stair lift installer in the Lynn area for over 30 years, we have the experience and track record to improve your quality of life. We deliver professional, prompt & courteous service to your home or business. Our high quality stairlifts and wheelchair ramps are manufactured in America and emergency service is available to our customers. Mobility and More is centrally located to efficiently serve Massachusetts, Maine, and New Hampshire. 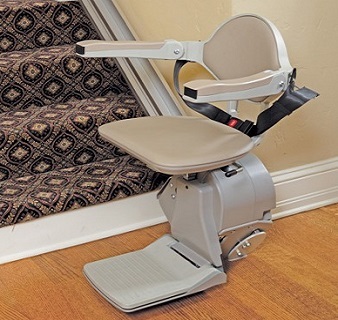 Our stairlift company in the Lynn area provides ongoing training to our stair lift service and wheelchair ramp installers & technicians. Let us help you to improve the mobility, accesibility & quality of life for you and your loved ones. Thank you for choosing Mobility & More – dedicated to increasing your independence and peace of mind!